Based in Perthshire, Scotland, Highland Fling is the only permanent bridge bungee operation in the UK. The bungee jump is from the 40 metre (or 132 feet) high River Garry Bridge which is just outside Killiecrankie and 4 miles from the tourist town of Pitlochry. From the bungee platform located under the bridge there are spectacular views to be enjoyed before you leap out into the fresh air falling toward the water below at up to 50 miles an hour. 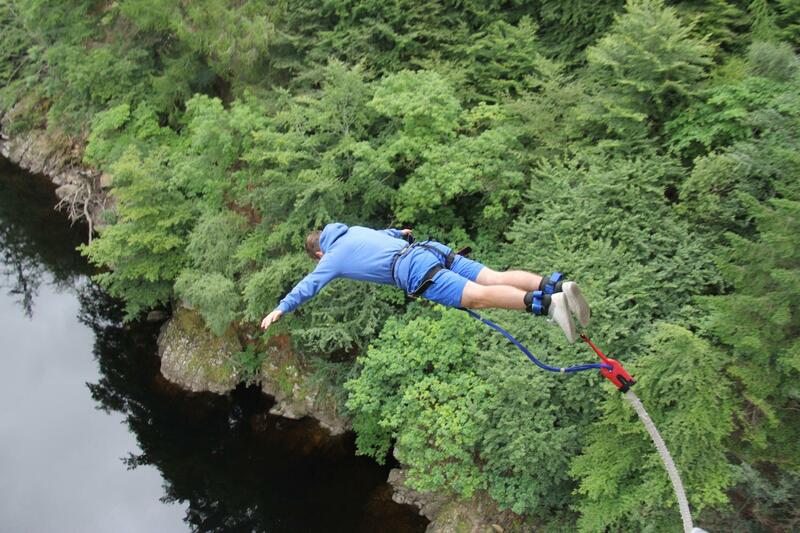 Enjoy the wild side of Scotland with Highland Fling Bungee Jumping! 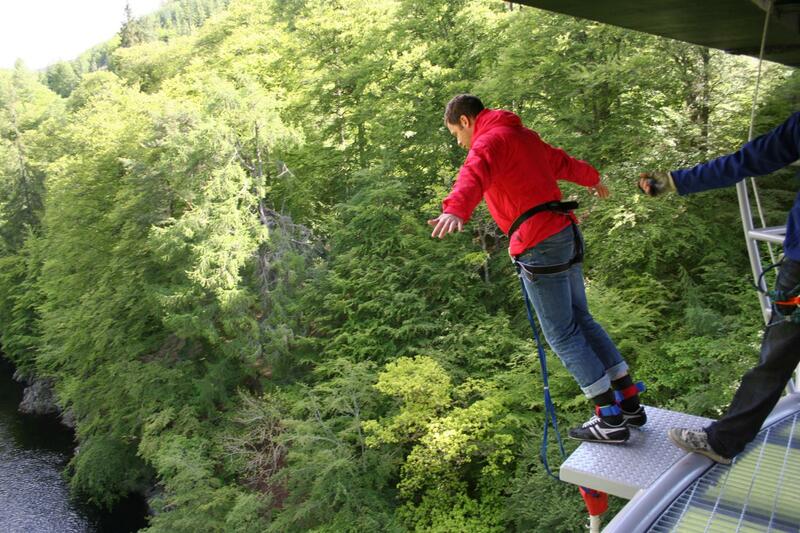 The bungee jump at Killiecrankie is brought to you by Highland Fling Bungee. ACE work alongside select activity providers to offer some of the other exceptional experiences there are to be enjoyed in Scotland. 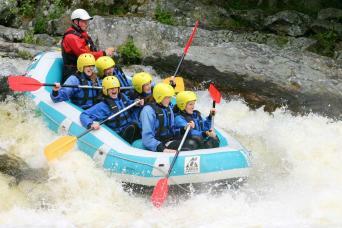 There is a strict protocol of excellence required for ACE to partner with another adventure activity provider. The long standing relationship with Highland Fling over several years has seen many ACE customers throw themselves off the bridge at Killiecrankie. The meeting point is at the Killiecrankie Visitors centre which also offers some fabulous riverside walks along the River Garry and a particularly scenic point called the Soldier's Leap. Once you have checking in with Highland Fling they will weigh you then allocate your jump number. A short 2 minute hop in the Bungee vehicle gets you to the bridge where you are given a climbing harness and escorted up into the underside of the bridge where you make your way out to the bungee jump platform. You can enjoy the 360 degree view from under the bridge in the suspended bungee platform while the jump master straps the webbing around your feet. Once ready it is just a case of shuffling to the platform edge and taking a mighty leap of faith in a swan dive style. After several large bounces you are winched back up to the bridge. Participants are then returned and able to purchase photos and merchandising onsite from the meeting area at the Killiecrankie Visitor Centre. The minimum age is 14 and maximum weight is 150kg. To fit into a harness waist size needs to be within 40cm(15.7 inches) to 125cm(49.2 inches).